Best overall whey protein powders. Ranking of the best whey protein powders for taste, mixability, value for money and general awesomeness. Summary: A protein supplement comparison website. There are cool summaries like this on most pages. What is WhichProtein all about? There are a ridiculous amount of protein shakes out there. I want to make it easy for you to find the best ones. 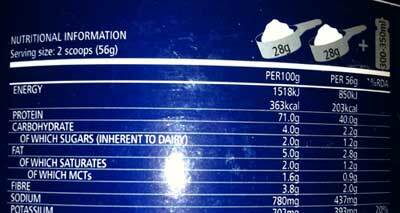 Nutritional information – The amount of protein, calories, sugar and all that in different protein shakes. Prices – Find out who's selling your favourite protein shake for the lowest price. The actual shake – How well it mixes and tastes. 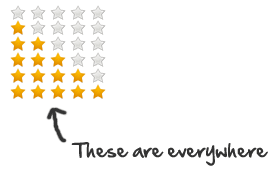 Other ratings – Like value for money and overall quality of different protein powders. If they're good enough for Amazon they're good enough for me. You can do this by yourself by doing your own homework on each product, but that's not much fun. I'm going to get all the stats and list them in pretty tables so you don't have to. People new to buying protein who want to find out which protein in the best, without getting in to too much detail. People who've been taking protein supplements for a while and want to compare nutritional values and prices to find their personal favourite. I'll put all these details (well, the important ones) in to easy-to-follow and compare tables, explaining them as I go along. I'm going to make sure this site is easy to use and follow no matter how many or how few protein shakes you've consumed. You don't need to be the nutrient king to find the best protein shake for your goals, but if you are you'll still find these comparison tables useful. I love going to the gym and I love making websites. That's a rare combination of interests that you won't hear again any time soon. I don't necessarily love protein shakes, but because I go to the gym so much I've come to enjoy them over the years. So seeing as I've gone through more protein tubs than Blue Peter has gone through yoghurt pots, I thought I'd write a bunch of reviews and throw in a bunch of tables for good measure. I hope you find WhichProtein.co.uk as handy as I do.